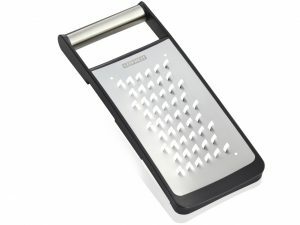 Already the first cut shows the difference: the razor-sharp blades of the Leifheit vegetable grater coarse cut the grating goods actually – instead of simply tearing it like conventional graters. The consequence: the flavours remain; the taste develops while eating and not while cutting. Grating is noticeably easier. Grating surfaces come up for the perfect grating of cheese, butter and potatoes with less effort, neat and super thin for many years. The grating surface does not loose its sharpness after its use. 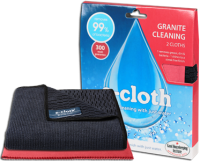 Soft synthetic material on the handle and on the base ensures a safe handling. The whole grating surface is vaulted to the inside to prevent the grating good from slipping. Dishwasher-proof. 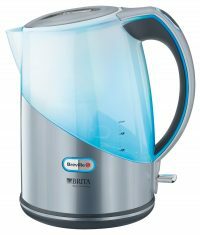 SKU: 4006501030139 Categories: Kitchen Appliances, LEIFHEIT, Shop Online Brands: LEIFHEIT.